The purpose of this site is to show how the groups in Adobe Illustrator can be revealed. This does not necessarily mean the document is not real. There could be many reasonable explanations for why the grouping gets revealed in Illustrator. Many people think that this apparent internal grouping in the document means that it was assembled rather than scanned. If this is true, the document could be declared fake. LATEST UPDATE: Layers are likely automatically created at scan time. After additional research, it appears some scanning software will attempt to isolate words within the image to facilitate optical character recognition. It appears very likely that is what is going on here. UPDATED: Check out the flattening test below. 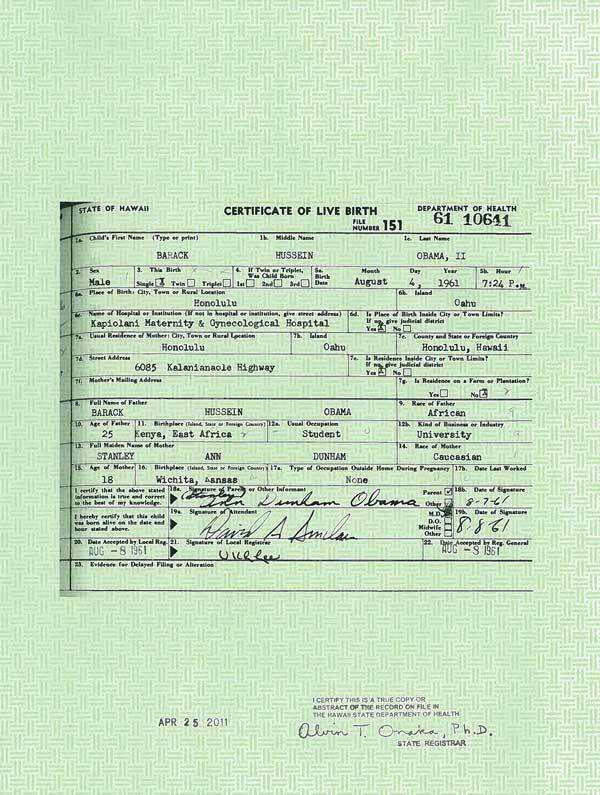 Here is the original Obama birth certificate that was released.